Where: NRG Stadium Houston, T.X. Don’t look now but the Houston Texans have quietly put together an 8 game winning streak thanks to last Monday night’s 34-17 win over the Titans. The winning streak is the longest in Texans franchise history and currently the longest consecutive winning mark in the AFC. The recent success has perhaps been overshadowed by New Orleans 10 game winning streak and possibly even the Chiefs breakout season behind quarterback Patrick Mahomes. However, the Texans are in a great position to challenge the Chiefs and the Patriots for the AFC’s number 1 seed. This week Houston looks to keep the streak alive as 6 point favorites over the visiting Cleveland Browns. Speaking of winning streaks, the Cleveland Browns won their 2nd straight game last week with a convincing 35-20 victory over the Bengals. Prior to the win against the Bengals, the Browns scored an even bigger upset win over the Falcons and will now get the opportunity to seek their first 3 game winning streak since the 2014 season. Obviously Cleveland is listed as underdogs this week to the red hot Texans but the mere 6 point spread from most bookies shows some confidence in this emerging Browns football team. 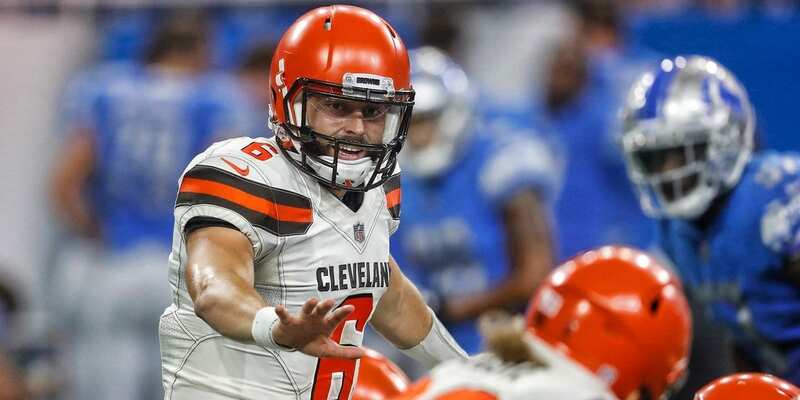 Last week, quarterback Baker Mayfield had his best performance of his rookie campaign by hitting 19 of 26 passing for 258 yards with 4 touchdowns and 0 picks. If you combine Mayfield’s improving play with the continued threat of running back Nick Chubb, this Browns offense is actually pretty decent and definitely capable of contending on Sunday. One of the reasons that Cleveland and Houston have found success in recent weeks is the elevated play of both defenses. Houston’s defense had a rough start to the year but they have regrouped nicely holding opponents to just 16.2 points per game since week 5. The defensive line has been great ranking 2nd in DVOA against the run and owners of 34 sacks (6th in NFL) on the year. For the Browns, they have also played well on the defensive side of the football. Despite the statistical concerns, the Browns have played better with each passing week specifically against the pass where they rank 4th in DVOA rankings. For this week’s match-up, both defenses will have critical match-ups that will be extremely important towards each team’s opportunity at victory. We know both offenses have been playing well. The test for the Browns revitalized pass defense will be finding a way to slow down quarterback Deshaun Watson and WR Deandre Hopkins along with the rest of the Texans passing attack. Despite some breakout success last week against the Titans, I still do not believe Houston can rely on Lamar Miller to run through Cleveland’s defense. For all intents and purposes, Watson is still the focal point of this Houston offense and Cleveland’s biggest challenge. For the Texans highly praised defense, they will have to answer the challenge with continued excellence from the defensive line. Houston did a great job last week of shutting down Titans running backs Dion Lewis and Derrick Henry. The Texans will need another similar effort against running back Nick Chubb this week. When Cleveland is able to run the ball, it opens things up for Mayfield in the passing game. If Houston can take away the run like I expect, their talented pass rushers in J.J Watt and JaDeveon Clowney will have opportunities to keep Mayfield pressured. If that happens, the game heavily favors Houston. The Texans have covered the spread in 4 of their last 5 games with the help of the 8 game winning streak. However if you go back further and dig deeper, Houston is just 5-11 ATS in their last 16 games and just 2-5 ATS in their last 7 games at home. Meanwhile, Cleveland is 8-4 ATS in their last 12 games but just 5-11-1 in their last 17 road trips. Perhaps the biggest notable standout is the fact that Houston has won 6 of the last 7 meetings against the Browns and has also covered 6 of those last 7 meetings against the spread. First Fidelity’s call-in sportsbook had built its client base through word of mouth and professional service starting in the early 90s. Many of their players were established, wealthy, older gentleman. 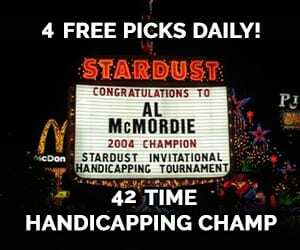 Word would spread at the golf course about how easy it was getting paid big amounts. First Fidelity’s then marketing manager told me they didn’t need to market and their phone-in middle aged client base was growing faster than ever. I asked, then why advertise online? He said their “customers are loyal but people eventually retire and even pass away. People die.” It was honest and forward thinking. 15 years later Youwager still has many silver-haired VIPs but is considered cool by the younger connected generation. Maybe Buick needs to hire Youwager’s team.